Broadcast transmitters generally have excellent harmonic suppression. However, even a very small harmonic component can be detected if the receiver is sensitive enough. These plots show harmonics of mediumwave transmitters received in the 4-5Mhz band. 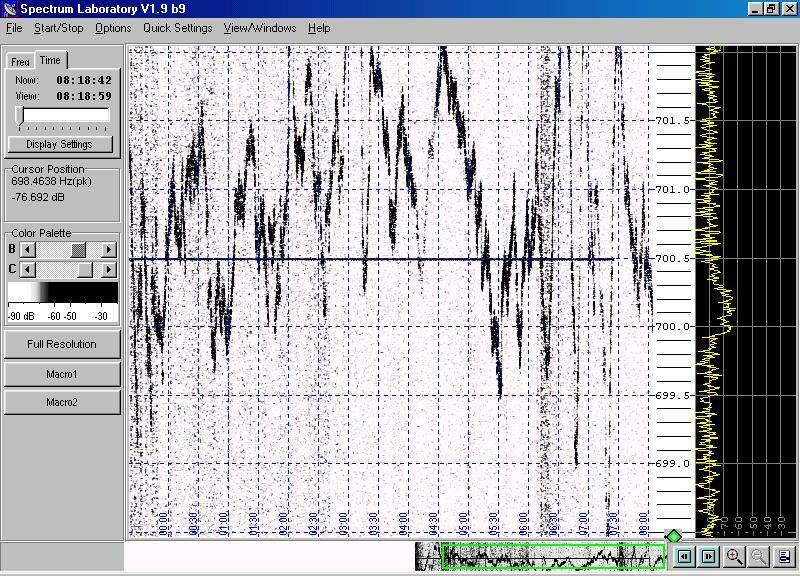 The plot above shows the 5th harmonic of two transmitters on 1053kHz. The stronger one is Talk Sport while the weaker one is an unknown station and is more distant (lower Doppler shift). The plot above shows the 7th harmonic of Radio 5 Live on 693kHz. 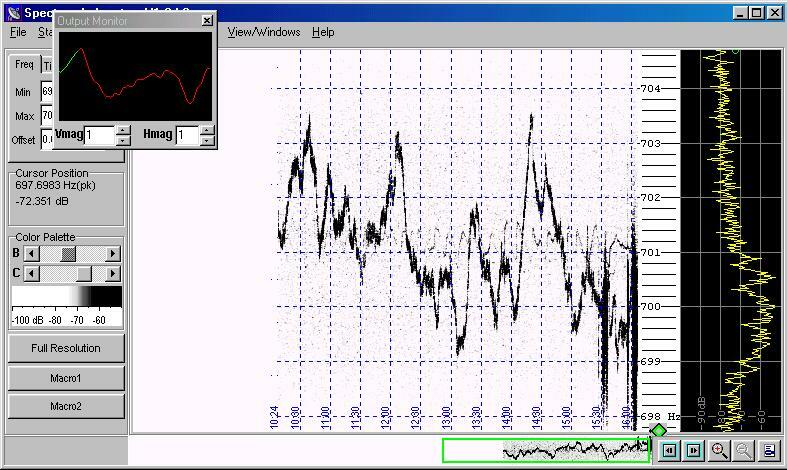 The heavy horizontal line is the groundwave. Why it stops just before 0730 is a mystery!